Plymouth-based game developer Mutant Labs has recently demonstrated a dedicated tool-kit that could enable an entire game to be voice-controlled. The developer demonstrated the new tool-kit at the Media Sandbox event in Bristol on 18 February, and it could potentially enable game and app developers to easily implement voice control into their products. According to Mutant Labs, the tool-kit - codenamed Operation Sonic Boom - renders down complex sound recognition and pattern algorithms into an easy-to-use set of tools and instructions. Interestingly, the team was quick to point out that the tool-kit is not aimed at bringing language recognition to games. Instead, it's geared towards creating games where more abstract sounds are used to control the on-screen action. Mutant Labs' managing director Alex Ryley explains that this is an important distinction, as games controlled using simple abstract noises rather than actual language are likely to have greater cross-cultural appeal. 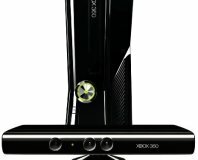 Voice control is touted by some as the next big area of development for game and console manufacturers, following in the footsteps of the recent success enjoyed by the Nintendo Wii and Microsoft Kinect. Indeed, voice control could be the next logical step in the recent trend towards simple and accessible game-control methods. While the tool-kit is aimed primarily at the iPhone and iPad initially, Ryley says that the software could be easily ported to other platforms such as the Xbox 360. This would potentially enable the technology to be used with Microsoft’s Kinnect controller, opening up the possibility of games that can be controlled by both sound and motion. The company also foresees a number of other benefits to voice-controlled games, such as bringing gaming to those that are unable to play or interact with normal games. Mutant Labs also points out that the tool-kit could even be used in medical applications, in areas such as speech therapy. The tool-kit is currently still in development, but is planned for release to development partners in the second half of this year. Do you think voice controlled games could be the next big thing? Do you relish the idea of screaming at your TV or cooing to your iPhone? Let us know in the forums. Free SDK to be released later this spring, with a commercial version coming soon afterwards. 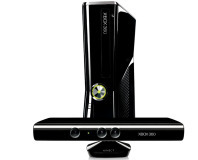 Microsoft has denied that it is planning to role out Kinect for the PC. Expects the same again before Christmas.